For the country’s biggest car maker, Maruti Suzuki, a lot rides on its popular compact sedan, Swift Dzire. It is the company’s second most sold vehicle after the Alto and brings approximately 14 per cent of the domestic sales volumes. But the company now desires to position Dzire as a vehicle distinct from Swift, thereby cutting its ties to a style and association that fashioned the initial model when it was launched in 2008. By doing this, the company believes it can leverage the power of the Dzire brand more effectively, tap into its aspirational pull and drive up sales. The new model of the sedan, to be launched on May 16, will drop Swift from the label. 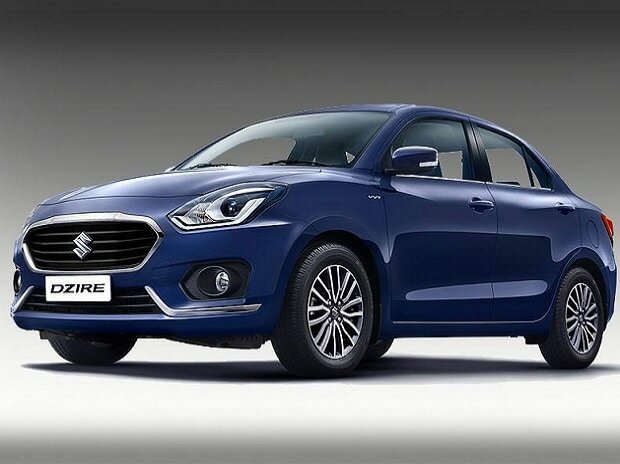 It will be called Dzire and not Swift Dzire. “The first generation of the sedan took cues from the Swift. We are moving to a new sedan that is different in design from the Swift. We want to make it more aspirational. Dzire can now hold on its own,” said C V Raman, executive director (engineering) at Maruti Suzuki. The first generation of Dzire was seen as a Swift with additional boot space. Now that the brand has developed a distinct identity, the company wants to exploit to the fullest. Strategically, Maruti Suzuki is bringing the full model change of Dzire into the market first and the new Swift may drive out next year. In a segment marked that has more than a dozen players, Dzire commands 50 per cent of the volumes. It has been the company’s second highest sold model for three consecutive years. Maruti sold a total of 200,000 Dzires last financial year. To put this in perspective, Dzire sold more than what companies like Tata Motors, Honda and Toyota sell across all the models put together. If Dzire was a car making company, it would have become the fourth largest player in the domestic industry. Several new launches have failed to dent the popularity of Maruti’s best-seller. Besides its competitive cost and maintenance, the company’s vehicles are also chosen for a strong service network, the widest in the industry. On a cumulative basis, 1.38 million units of Dzire have been sold since the launch in 2008. Why then was there a need to reposition the brand and rework the model? Dzire volumes have been mostly flat in three of the last four years. Competition has also become aggressive. Dzire competes with Hyundai’s Xcent, Honda’s Amaze and Toyota’s Etios. The latest product to enter the market has been Tata Motors’ Tigor. The closest competitor of Dzire is Hyundai’s Xcent, which clocked annual volume of about 47,000 units last financial year. The Korean car maker has just launched the new model of Xcent and hopes to sell 60,000 units a year. The last full model change of Dzire was in 2012. “If you do not make your products obsolete, the competition will do it. We need to be relevant to the evolving needs and keep changing to meet the needs,” said R S Kalsi, executive director (marketing and sales) at Maruti Suzuki. The new Dzire is highly contemporary in design, has a wider front and sports additional features to the outgoing model. It is lighter in weight (about 105 kgs) and therefore offers higher fuel efficiency. The diamond cut alloy wheels enhances the appeal. The new touch screen infotainment system has Apple CarPlay and Android Auto. This Dzire also has rear air conditioning vents. Overall, the company aims to enhance the product value through its new design language and appeal to buyers in their late 20s and mid-30s. Kalsi is confident that the new Dzire will surpass the volumes achieved by its predecessor. “Competition has always been there. But we have been able to hold on to market leadership in the segment. The new Dzire is an authentic sedan,” he added. Dzire is also critical for the market leader as it eyes an annual volume of two million cars by 2020 (it sold 1.56 million vehicles in FY17). For the industry, Maruti’s efforts to add sizzle to the sedan market with a new launch and brand refresh could end up expanding the market which has been stuck at an annual volume of around 400,000 units in the last couple of years. The renaming and the new launch are also expected to help tackle another problem that Maruti and other sedan makers are up against: the association of the brand with cabs as the new aggregators Ola and Uber have brought about an increased visibility of the vehicle in the taxi segment. Maruti sells a variant of Dzire, the Tour, for the taxi segment. However, less than one fifth of the total Dzire volume comes from the taxi segment. Of the 200,000 units sold in FY17, 32,000 units were to the taxi and commercial players while the rest was to buyers in the personal segment. Still the association acts as a deterrent to purchase among a certain section of auto consumers and Maruti is hoping to break that, by linking the new model with a new label. The outgoing Dzire will be sold to the taxi segment and Kalsi does not see any cannibalisation on the personal segment demand due to Dzire’s presence in taxi space. A similar problem has plagued companies like Hyundai and Toyota. Both have tried to reposition their sedans, Xcent and Etios, by bringing out a distinct model for personal users and retaining outgoing models for taxi segment.